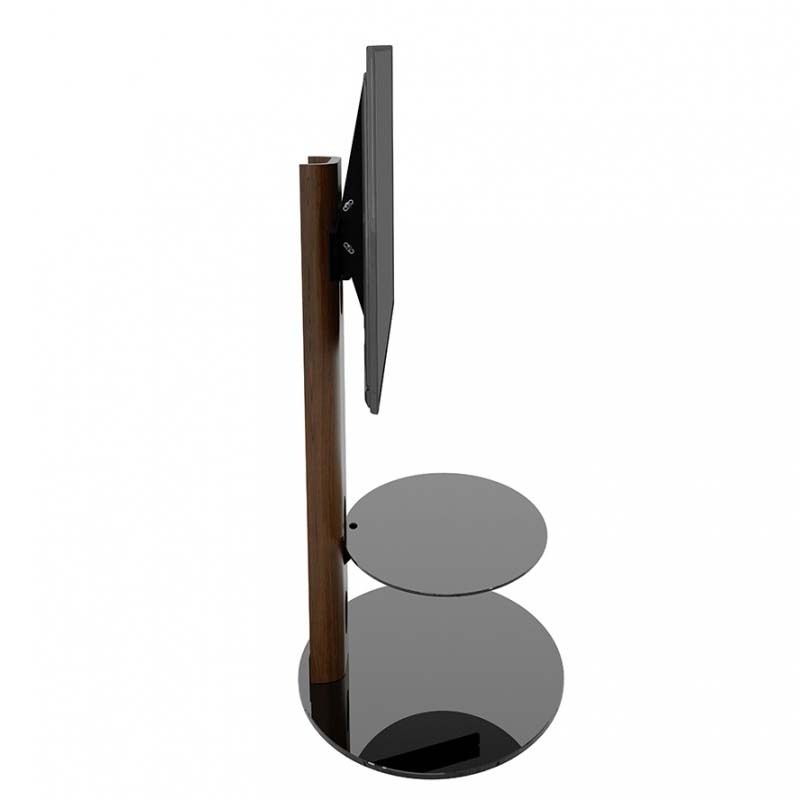 More on the AVF Sandringham Pedestal Stand with 60 in. TV Mount (Walnut) FSL910SANW-A below. 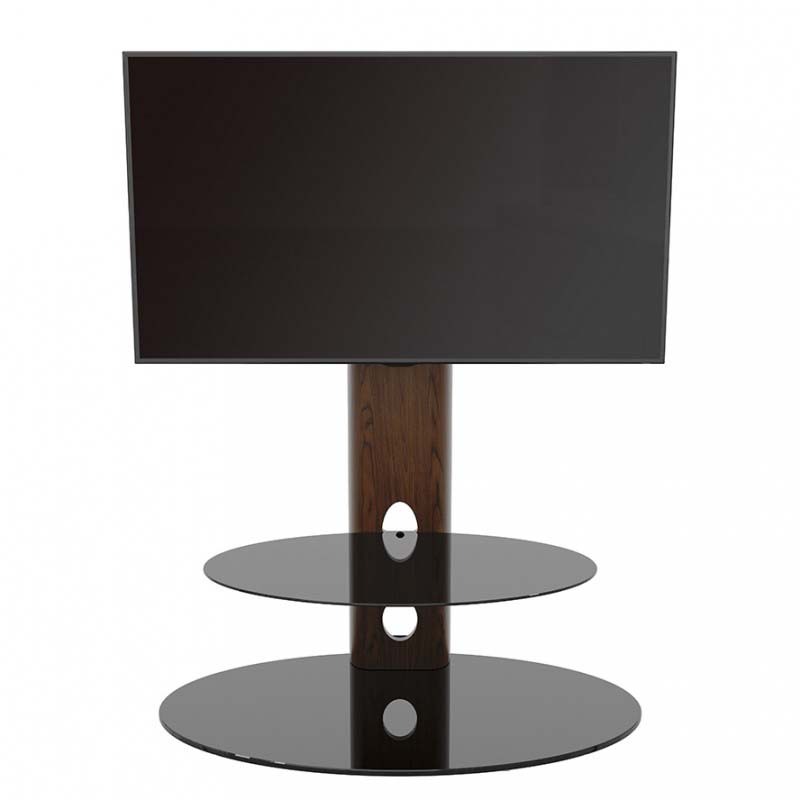 The Sandringham Pedestal TV Stand is a free standing column in beautiful real wood veneer with integrated floating glass shelf and glass base. 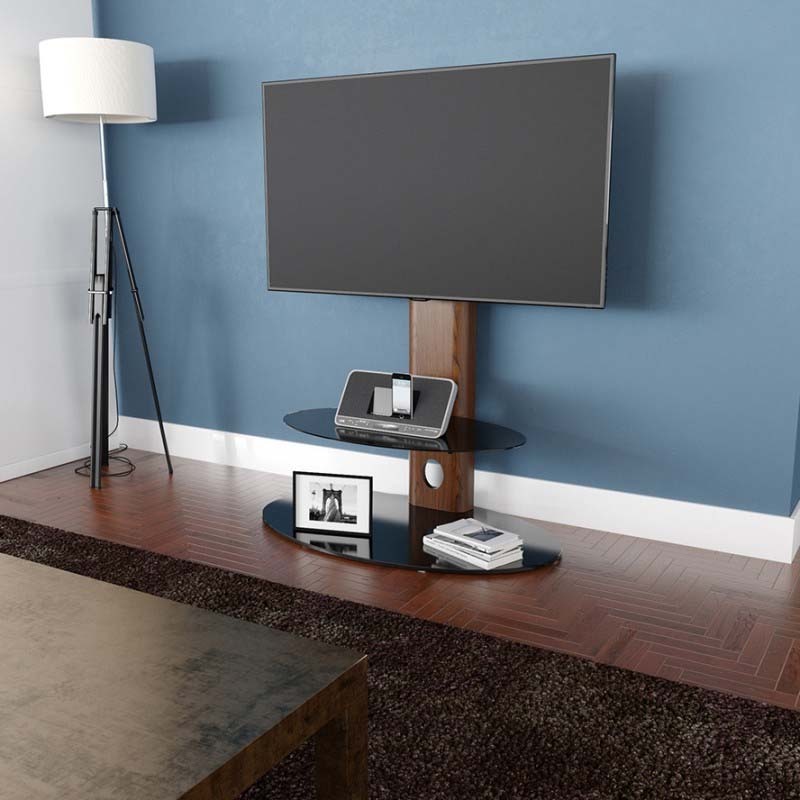 The design of the column provides superb cable management, while the oval shape of Sandringham's base makes it perfect for positioning in the corner or flat against the wall. 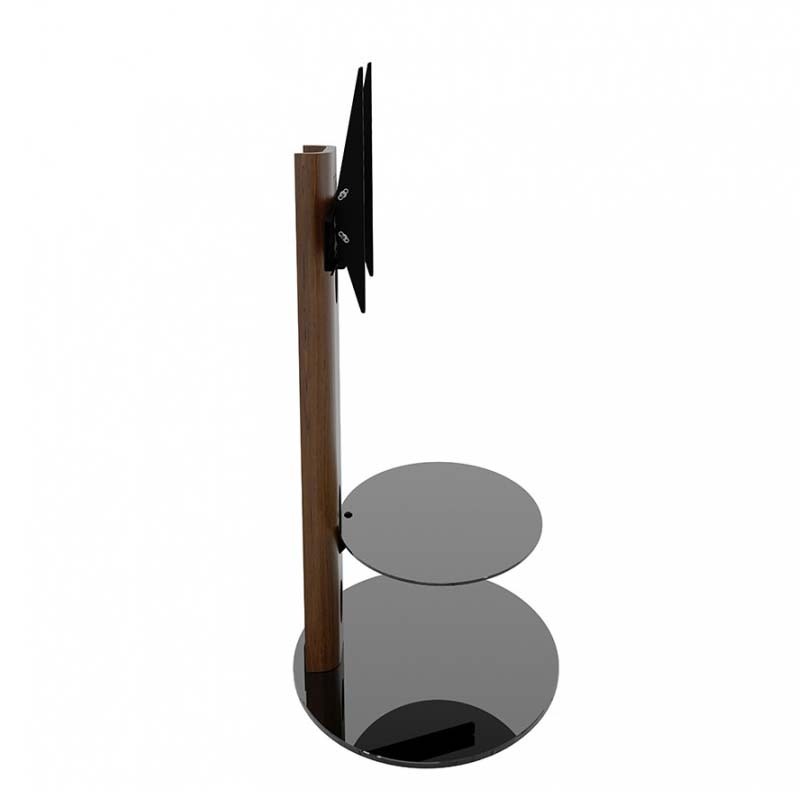 Tilt function allows you to get the perfect glare free position. 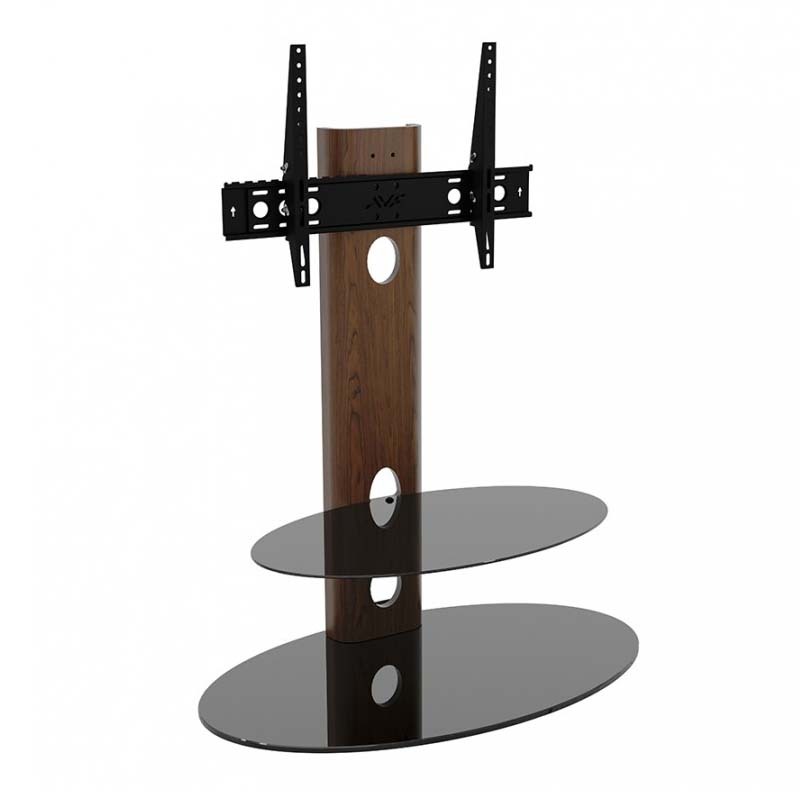 Featuring secure AVF mounting technology, you can easily protect your TV from accidental knocks or tip overs. 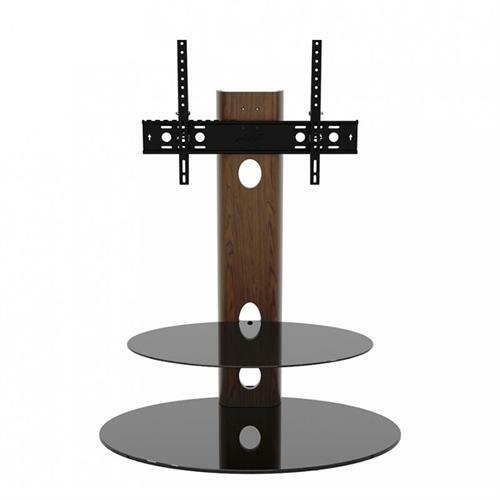 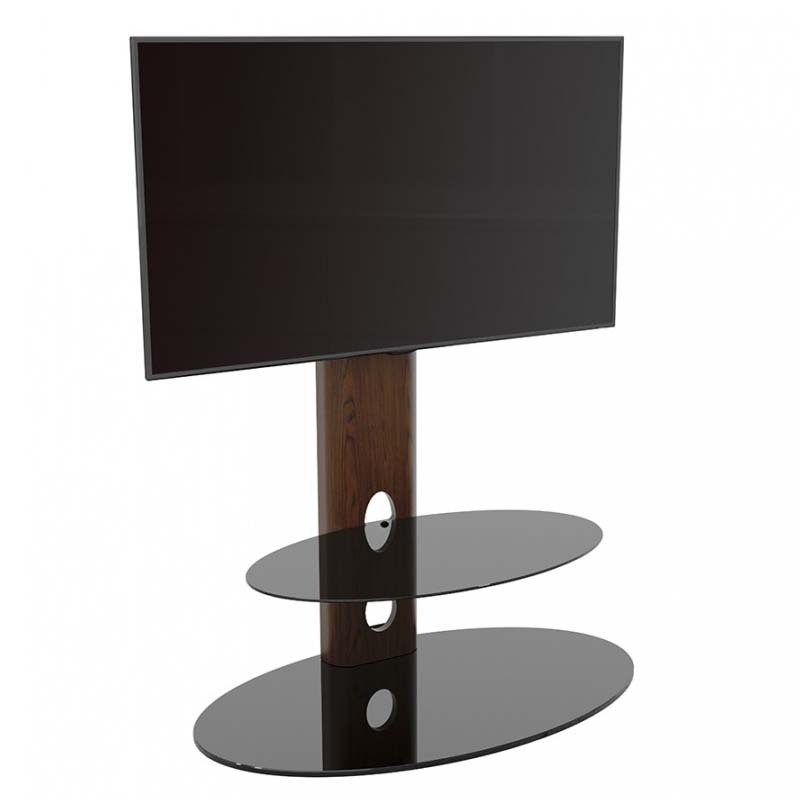 The Sandringham Pedestal TV Stand is a sleek all in one solution for your TV and AV Accessories.